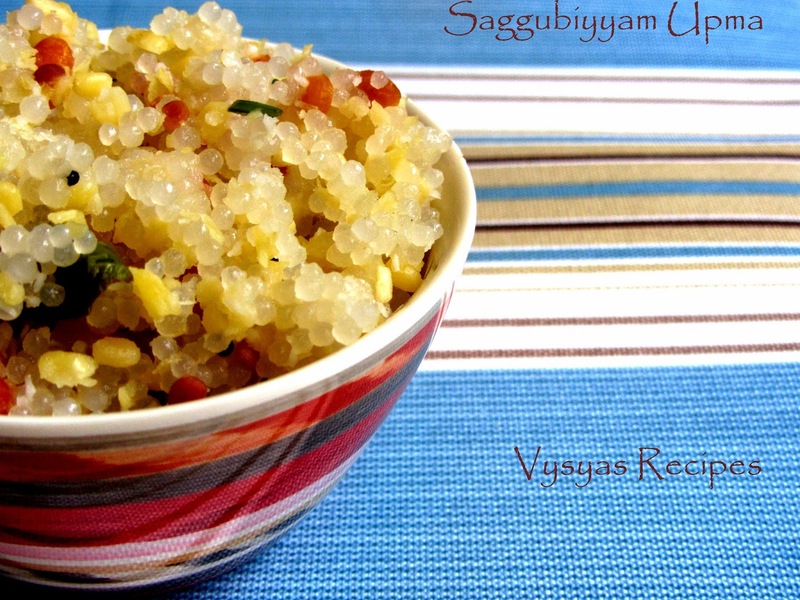 Javvarisi Upma(sabbakki Upma) is a Quick recipe.Bachelors and Office Goers can prepare this as a Tiffin recipe. Sabudana(Saggubiyyam) is full of starch or carbohydrates and is great for a quick boost of energy, and hence often served in India for breaking fasts during religious festivals. 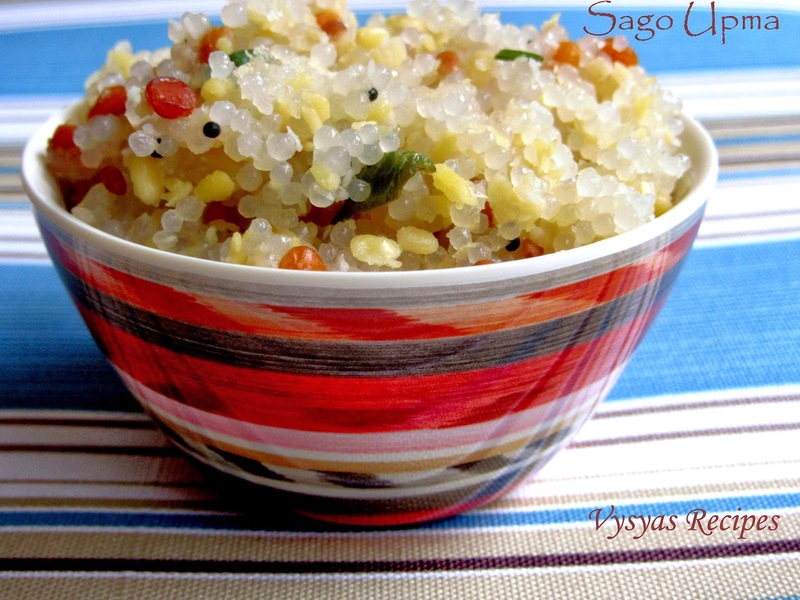 According to "The New Oxford Book of Food Plants," traditional Indian medicine uses sago in combination with rice to cool the body. Therefore, sago can function as an herbal remedy to treat ailments resulting from too much heat, such as the production of excess bile. Sago is also used in traditional medicine outside the Indian subcontinent in Sri Lanka, New Guinea and other Asian Pacific countries. Soak the Javvarisi in Water Overnight. [Next day if there is any excess water drain it and keep it aside]. Pressure cook the Moong dal for 3 whistles or cook in a bowl with needed water till it becomes Soft. Heat the oil, add Mustard seeds when it splutters add chana dal,urad dal, slit greenchillies and curry leaves.saute well. Now add Sago(javvarisi) and saute for 5 to 10 minutes till sago turns colour from white to some shiny texture. Now add Cooked Moong dal and Mix Well. Switch off the stove, then add lemon juice. garnish with cilantro. Serve hot. I was searching this aunthentic javarisi upma recipe. Thanks for sharing.